White-breasted Nuthatches are among the most common birds in our backyard woods. Due to their frequent feeding upside-down on tree trunks, this species is often one of the first birds beginners learn. 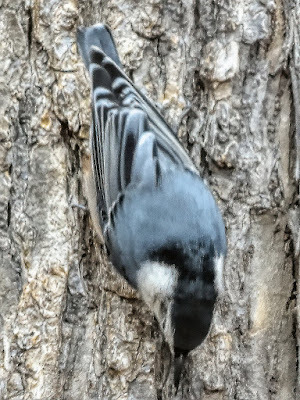 White-breasted Nuthatches also visit bird feeders. Pairs hoard large quantities of food, caching it piece by piece across their territory. These nuthatches form permanent pair bonds and defend territories all year. Some northern birds may migrate, but not much about these movements are known (and I have no evidence from my banding). Bird bander, photographer, retired biology professor. Enjoy this blog? Consider donating—all donations are appreciated. Simply click the button below. 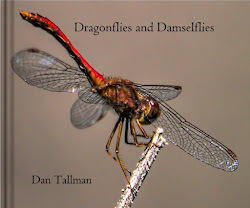 NEW EDITION: Dragonfly eBook $7.99. Also other formats. Click cover image. 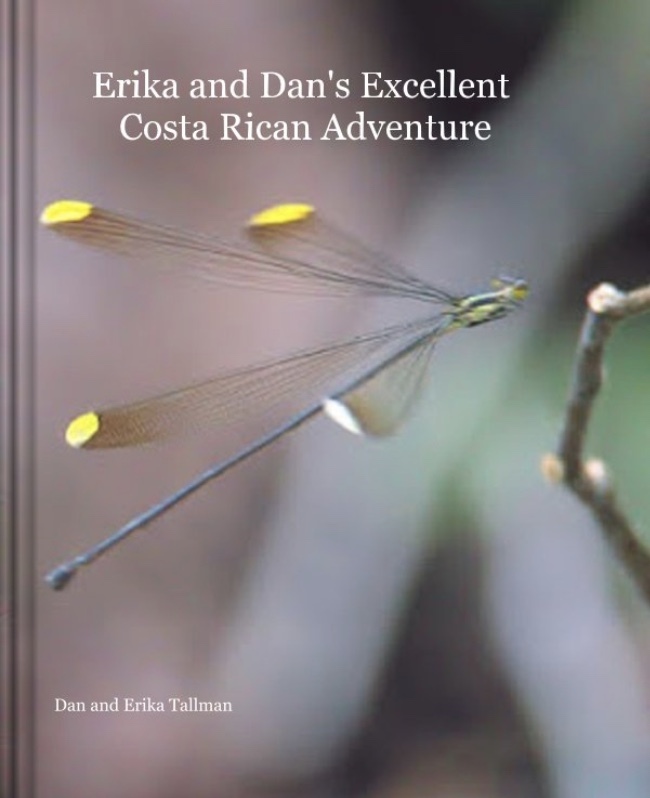 Costa Rica Trip Report. PDF formal only $9.99. Large-format book—a selection of Minnesota birds with white backgrounds. Click cover. A photo gallery: A work in progress. Photos may be used free of charge if you credit the photos to my copyright. . Birds . Flowers (under construction) . Dragonflies . Butterflies (under construction). Click logo to explore or submit your bird sightings to eBird.